Winter is in full swing in June and activities tend to be more indoors. But let's not forget that FIFA World Cup 2010 hits Cape Town this year!! Cost: All visitors need to purchase a passport (R70) at their first port of call. This includes a stylish tasting glass, WWW goodie bag, festival program and a bottle of water. The passport entitles you to free tasting (25ml-samples) of the wines for the duration of the festival. Contact: The Robertson Wine Valley on (023) 626-3167. 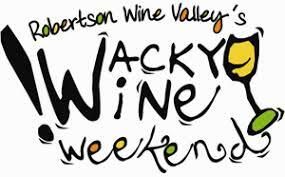 The Wacky Wine Weekend takes place in the Robertson Wine Valley. Wineries from Ashton, Bonnievale, McGregor and Robertson host not only wine tastings, but also extra activities, which includes outdoor, sport, adventure, family-fun, kiddo stuff, live music, fine dining to name but a few. Where: Various farm on the Durbanville Wine Route. Cost: Ticket prices range from free to R120 per person. NB You have to book at some venues! Nine wine farms in the Durbanville Wine Valley host the second Soup, Sip and Bread winter event on Sunday June 6th, providing the perfect environment to enjoy this delightful wine route’s reds with hearty country fare, all served up with live music in a rustic, country-side setting. The wine farms participating in this fun-filled family event are Nitida, Meerendal, Hillcrest, Durbanville Hills, Diemersdal, De Grendel, D’Aria, Bloemendal and Altydgedacht. Festival goers will yet again flock to this special winter event to warm the cockles of the heart with home-made soup and just-baked artisanal bread perfectly matched with red wine from the valley’s cellars. NB Age Restriction: NO UNDER 18's! The Vodacom Funny Festival is Cape Town’s flagship stand-up comedy festival. With only eight days of matches being played in the Mother City, the question is: "So what are people going to do for the other 23 days?". Join in the during the 2010 FIFA World Cup at The Global Icons Expo-tainment Experience. live music and entertainment across seven stages as well as roving artists. Fashion shows and an exclusive interactive fashion zone. Other inter-active zones: TravelZone (travel destinations), TechZone (latest games and technology), FitZone (Health & fitness products), KidZone (restaurant with supervised play area). Special soccer viewing areas to ensure all visitors (and their families) join in the soccer fever and participate in a day of fun and entertainment. Five concerts by some of the country’s top classical musicians will be performed during this festival in the quaint village of Greyton. Apart from classical music concerts various art exhibitions are planned for this weekend, as well as wine tastings presented by top Overberg wine estates. Restaurants in the village will offer various winter dishes and meals prepared by "celebrity" chefs. 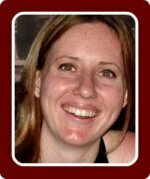 Artists performing include popular soprano Zanne Stapelberg, mezzo-soprano Minette Du Toit-Pearce, violinist Suzanne Martens, cellist Peter Martens, pianist Philippus and the South African Youth Choir under the baton of Andre van der Merwe promises to be one of the highlights of the festival. The Napier Patat Festival will be kicking off on Friday night 18 June, with a live performance by brothers Christo & Kobus. Then Saturday morning, 19 June, sees the half marathon, fun run and mountain bike race take place at the Napier High School school. The Miss Napier competition and Mej Patatrantjie will also be held on the Saturday morning this year (in the middle of the athletics field, weather depending). After prize giving in the afternoon, the festivities continue at the school, however the rest of the village comes alive as well, with open gardens, vintage cars, wine and beer tastings and much more. Cost: R30 per person - This includes free wine tasting at various Wine Cellars, The Rock with Santa Party and entrance to 4 National Museums. Christmas once again comes early this year as Tulbagh presents a weekend extravaganza of wonderful winter warmers. Browse through the arts, crafts, photographic exhibitions, art galleries and quaint shops. Enjoy cheese, Belgian chocolate and olive tastings or join in the chilli eating and various other competitions happening. Jumping castles, pony rides, face painting are just some of the activities that will keep the little ones entertained. Join the winemakers and their staff for wine tastings, cellar tours and a variety of activities. The "Rock with Santa Party" on Saturday evening is not to be missed. Jive to the sounds of live music, enjoy much merriment and of course good company! The content section will open as soon as you start typing the name of the event. Everything will appear on a Web page exactly the way you enter it here.